Major retailer (Game) have now setup the option to pre-order the hotly anticipated PlayStation 4 via their official website. Nobody knows the exact pricing Sony’s new video game console will be, but Game are going ahead with it anyway. For just £20 you can be on the waiting list and have the PS4 first before anyone on the day that it is released in Europe. There is hope and expectation that the next generation console will be released in time for Christmas 2013 later this year. However, there may be a slight delay as Sony cannot guarantee when their next super computer machine will arrive in stores worldwide. There is a lot of gossip that it could be delayed as late as early 2014. We will all have to just wait and see how this develops over time. 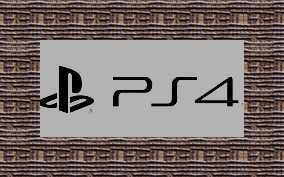 The demand for the PlayStation 4 will be at an all time high with gamers wanting to get their hands on it as soon as it is out. Patience is always the key though, and we don’t want Sony to rush the console too much. Moving quickly could cause all sorts of faults with the machine and nobody wants that.